You’ve just started MMA and you think that your boxing skills need a lot of work. You can hit the punch mitts all right and you have great hand speed, but somehow, you feel that your punches severely lack power in them. So, how do you go about improving your punching skills at home and without paying up for expensive personal trainers and one-on-one classes? The answer might lie with iPunch gloves, a new piece of “smart” wearable technology from fitness startup Responsive Sports. The IPunch smart gloves is the brainchild of Steven Cains, a martial arts enthusiast with nearly 16 years of training in boxing, Muay Thai, and MMA. Frustrated by the slow pace of improvement that he had in his training, Cains stuck sensors to his old gloves and proceeded to train with these tracking devices recording every his every move. It was an instant hit at the gym. From these humble beginnings came the prototype for the IPunch. These are 4oz MMA-style (i.e. with seperate fingers and thinner padding) gloves that come equipped with two sensors inside of them. One of the sensors measures the impact and power of punches, while the other sensor tracks motions and determines the type of punches thrown. All of these recording and tracking processes are done in real time. The data for the punches can be collected after a training session to a specialized app on an Android or iPhone device through Bluetooth. Alternatively, trainers can hold the trainee’s smartphone while he or she punches a heavy bag, and provide real-time personal feedback as information about the punches flash are displayed on the screen. 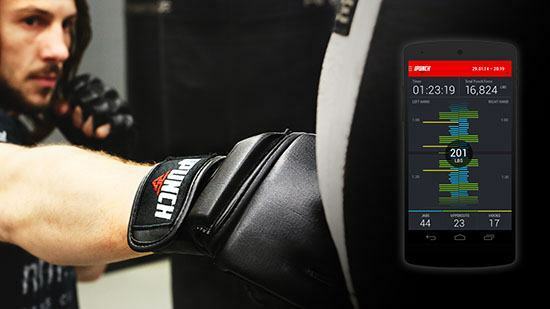 The iPunch smart combat gloves do not rely on pure tracking and feedback alone for punch improvement. There are training programs that are built into the glove itself that its users can take advantage of. For example, the IPunch Trainer program gives out combos (through audio) that people can punch along with. 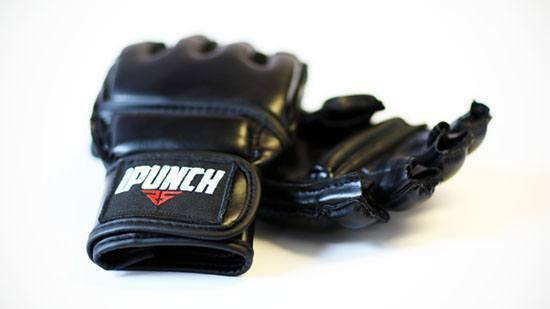 Are the IPunch Combat Gloves Worth Your Money? A funding campaign for the gloves’ production is still ongoing at Indiegogo is no longer available. 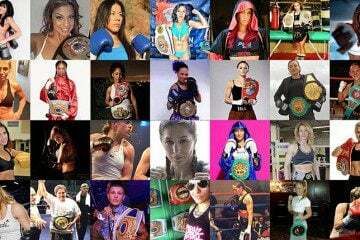 As of this writing, the total amount of donations has reached nearly $9,000 (with a total overall goal of $75,000) but buyers are encouraged to donate as early as possible so that they can avail of the gloves’ early bird rate of $139. But should you spend money on a pair of IPunch smart gloves? First, do take note that most high-end MMA gloves (Hayabusa, Windy, Twins) usually cost more than $100. With its high tech “smart” features, these IPunch gloves are basically a steal. The embedded training programs are pretty innovative; aside from the previously mentioned IPunch Trainer, there’s also a 3-minute Round and a Test of Strength program that lets you pit your punching prowess against a friend’s. They help put a little spice into your training program so you won’t get bored. While it’s common knowledge that the equipment has nothing to do with your skill as a fighter, these IPunch gloves can help you motivate yourself to put a bit of extra effort into training.